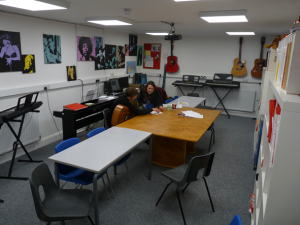 Our music department is housed in our purpose built modern music block, which includes both practice rooms and a recording studio. 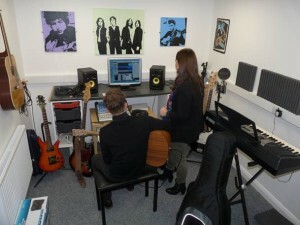 We have the music roomlatest industry standard recording equipment, Presonus, as well as a massive variety of musical instruments and sophisticated computer software. We also have our own live performance space in the Barn, which includes a stage, a hundred seat theatre and a professional PA system.